Standing by the console and giving musical energy for dancing fans was his dream which he started to realise in very short time. Many years of experience as a DJ with time was appreciated. He was spotted by radiostation Szczecin.FM, which emited his Radioshow. Actually he working with radio Trance1.FM, where hepresenting his author audition "Trance my life radioshow" assembling more crowd of fans. To be sure what is a music from heart it's necessary to hearat least 1 of these episodes. Exactly here we can see his true "I". Withtime when his audition reached more popularity Marcin decided to back tomusic production. Thats how after making his first full track he debutingin this year in Redbox Recordings. Premiere of the single "Impression" had place in 15 October in 2013. 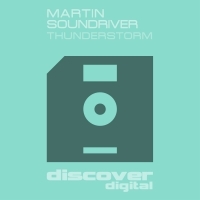 Martin have no had to wait so long for success, because impression was supprted by Paul van Dyk himself in his 371 and 392 Vonyc Session. Year 2013 is also collaboration with Martin Graff, what affected into release EP "Fleeting Moments" in Vendace Records, which was played by Armin van Buuren in 634th ASOT one week before premiere! As he speaking: "I realised myself, but I still want more". Is it a sign about next productions, which we will hear soon? Surely we will know it soon! The participant of one the biggest Polish festivals - AUDIOLAKE FESTIVAL !! !